Wanting a Non-Surgical Breast Augmentation By Fat Transfer? What is non-surgical Breast Augmentation? Want to have Breast Augmentation but don’t want breast implant and surgery then we have great news! 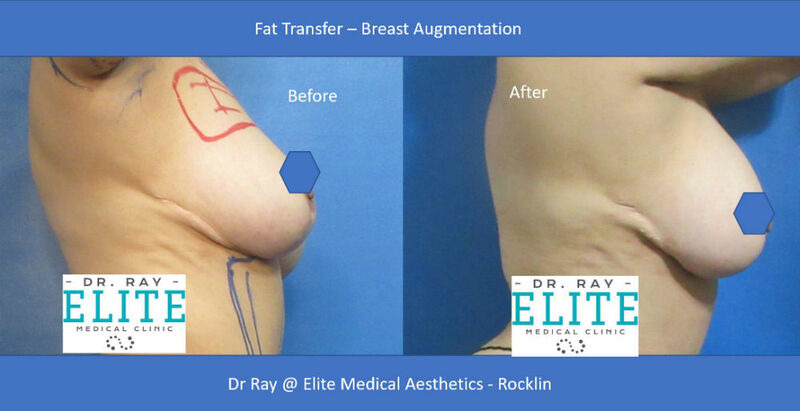 Dr Ray at Elite Medical Aesthetics, Rocklin, offers Breast Enhancement by Non-Surgical Fat Transfer technique. For Breast Augmentation, fat tissue is obtained from other areas, such as abdomen, flanks and back. Through advanced technique Dr Ray harvest and prepare the fat tissue and that he re-injects your own fat tissue into your breasts for Breast Lift. Have Natural Look Breast Lift by fat transfer! Am I a candidate for a Non-Surgical Breast Augmentation? To know if you are a candidate for non-surgical Breast Lift, we offer complimentary consultation. Through the consultation with Dr. Ray, he would evaluate you and discuss options and he would determine if you can benefit out of Fat Transfer for Breast Augmentation. During consultation session, we would offer details on how the procedure is performed, costs and recovery period. Essentially cost is quite low for Breast AUgmentation although there is a cost for liposuction. When you go through Fat Transfer for Breast Augmentation, you would have liposuction of some other areas of your body such as abdomen, flanks, or thighs. Liposuction would be an important part of the fat transfer cost. For Breast Augmentation, fat tissues obtained from other areas of the body. 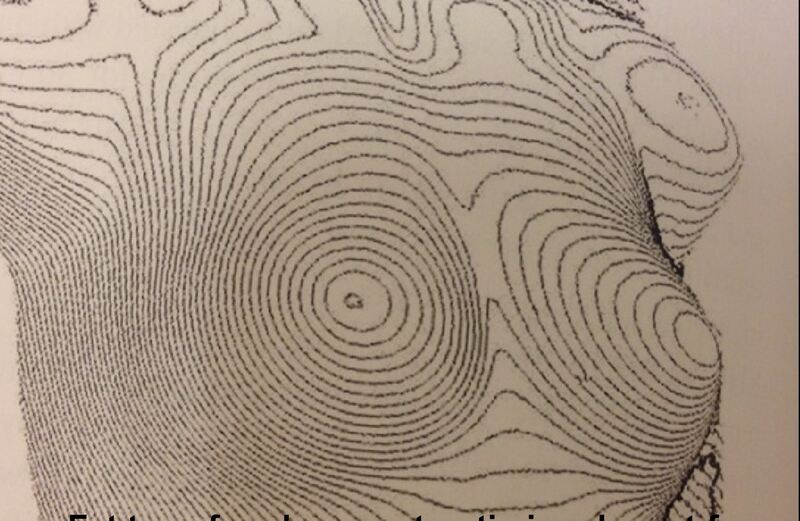 Dr Ray would assess and determine how to shape up the breast the best by relying on medical knowledge and body sculpting expertise and understanding of your current breast shape. Dr Ray performs liposuction of the desired area of unwanted fat. Then the suctioned fat goes through a sterile process to be prepared for fat transfer. The fat tissue then injected into the breasts. It normally takes 3 months for body to establish blood circulation around the injected fat tissue. There are post care instruction would be given to assure success in fat transfer procedure for Breast Augmentation. During the initial consultation with Dr Ray, he would go over the pre-procedure and post procedure care instructions and the course of recovery after non-surgical Breast Lift. After fat transfer procedure, you will receive detailed instructions about your Breast Augmentation after care. Instructions related to avoiding heavy weight lifting, compression and any potential complications. First week: The swelling and potentially bruising although not very likely. Second week: the bruising resolves, if any, but swelling will last longer. Third week: You will begin to look more like yourself. The Fat transfer for Breast enhancement, would not intervene much with routines daily activities but you need to avoid extraneous activities, heavy weight lifting.Wearing supportive bra would be necessary. For most patients, essentially they can go back to daily home routines and office kind of work after the 3rd-4th day. How Long Will the Breast Augmentation Results Last? The survival of the fat and longevity of the results depend on the harvesting and preparation technique, physician’s skills, how and where it was injected. In addition how you body take the grafted fat tissue. After Breast Augmentation by fat transfer, you would have fuller breasts. After 3 months, you would have stable look of your breasts and that is expected to last as your own body fat. The cost of Breast Lift involves the cost of fat harvesting from other areas of your body, processing the tissue through advanced technique and re-injecting the fat into your Breasts. 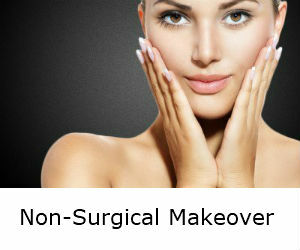 Overall you would need to consider the cost of liposuction which could be a major part of expenses too. Dr Ray explains that if you do not intend to have liposuction and improve body contouring through liposuction then fat transfer may not be a good option for you. A Complimentary consultation with Dr Ray at Elite Medical Aesthetics, would provide all answers to your questions and an estimate for the cost of the procedure. During your initial consultation, you will have the opportunity to discuss what you want to achieve. Dr Ray will evaluate you as a candidate for Breast Enhancement by fat grafting and would explain what fat grafting technique can do for you. Ready to learn more about Breast Augmentation by Fat Transfer and find out if you are a good candidate? Call 916 500-2474 to schedule a consultation with Dr Ray at Elite Medical Aesthetics, Rocklin or fill out the request for consultation form.